Raven Russia (RUS) invests mainly in Class A warehouses in Russia let to large Russian and international companies. It also owns three office buildings in St Petersburg, a third-party logistics company in Russia (RosLogistics) and a residential development company in the UK (Raven Mount). The Russian economy returned to growth in 2017 and the FX market was relatively calm, creating the conditions for a significant improvement in the warehouse market supply-demand balance, with rents stabilising. Against this backdrop, Raven produced strong headline earnings, including land sale gains, and a solid underlying performance, including a first benefit from 2017 accretive acquisitions. Although not reflected in our forecast, further acquisitions are likely, funded by existing cash resources, with the potential to more than offset rent reversion to market levels and return the company to growth. Note: *NOI is net operating income. **PAT and EPS (fully diluted) are underlying, excluding valuation movements, depreciation, share-based payments and exceptional items. ***NAV is underlying and fully diluted, excluding goodwill, deferred tax on valuation gains, fair value movements on derivative contracts and cumulative FX movements on preference shares. EPS and NAV assume convertible preference share conversion. Profit after tax of $56.8m (2016: $47.1m), on the company’s underlying basis, positively surprised. A lower FX gain was more than offset by realised gains on non-core legacy UK land holdings, adding c $20m. Excluding this, underlying earnings were broadly as we had expected, with warehouse occupancy at a similar level (81% vs 80%) and much of the negative rent reversion (to lower, rouble-denominated market rents) offset by a part-year $10m contribution from acquisitions. RosLogistics continues to show good growth. The investment portfolio saw positive revaluation of $38.2m with a benefit to NAV per share (80c fully diluted or c 60p at year end). Raven will make a 3p final distribution (4p for the year vs 2.5p) by way of a tender offer buyback, the increase reflecting management confidence in the outlook as well as the land sale gains. The cash balance remains strong ($266.7m at end-2017) providing resources for further accretive acquisitions; we estimate c $300m in asset purchases on a geared basis which, at an 11% yield, has the potential to lift our forecast 2019 earnings and cash flow by 35% on an annualised basis. Raven investors have three share classes (in addition to warrants) from which to choose. The preference (RUSP) and convertible preference (RUSC) shares yield 8.2% and 5.4%, respectively. The 2017 yield on the ordinary shares is more than 9%, and 7.0% in 2018 assuming a lower distribution excluding realisation gains. The ordinary shares will benefit fully from any NAV growth or narrowing of the 30% discount to FY18e NAV/share. Raven Russia (Raven), listed on the main market of the London Stock Exchange (LSE). It was founded in 2005, with the intention of building a portfolio of modern, Grade A Russian warehouse assets through acquisition and development. 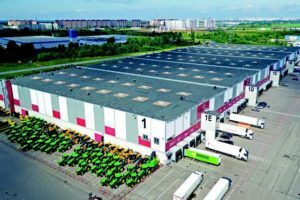 The company has been self-managed since 2008 and has built a substantial portfolio which, at 31 December 2017, comprised c 1.8m sqm of predominantly logistics warehouse property (of which c 72% is in the Moscow region). At end-2017 the portfolio was 81% let, to mainly large Russian or international companies. International comparisons show Russia to have a relatively low density of warehouse space, a positive indicator for long-term growth. 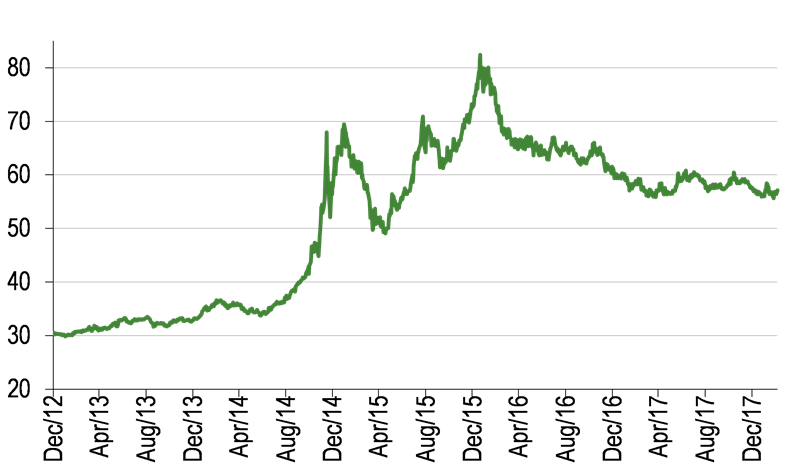 In the near term, the Russian recession through 2015-16 coincided with a cyclical pick-up in new building, causing vacancies to increase and rents to fall, with the market converting almost completely to rouble-denominated lease terms in contrast to longer-term US dollar-denominated leases that Raven has historically targeted. However, with economic recovery taking hold, the US$/rouble rate relatively stable, oil prices improving, and inflation and interest rates declining, warehouse market conditions are improving. New Grade A development completions in the Moscow region in 2017 were the lowest since 2006 (source: JLL), and well below improving levels of take-up, with vacancy across the market reducing. Market rents have stabilised. Raven has a strongly liquid balance sheet, ending 2017 with a cash balance of $266.7m, which supports a continuing acquisition strategy (four properties acquired in 2017) aimed at high-quality, attractively yielding assets to support income through the transition from maturing, dollar leases. Acquisitions are not included in our base forecasts, but a sensitivity analysis is provided on page 7. In addition to the core investment property division, group subsidiaries include Raven Mount, a UK residential development company, and RosLogistics, a third-party logistics business in Russia. Raven warrants (RUSW) and preference shares (RUSP) are traded on the LSE in addition to the ordinary shares (RUS), while convertible preference shares (RUSC) trade on the official list of the International Stock Exchange Authority Limited (TISEA). The full year results were a positive surprise, with strong growth in net operating income, statutory and underlying earnings, NAV per share, and an increased distribution. We had not anticipated the disposal gains on the legacy UK land bank, and stripping this out of underlying earnings leaves them pretty much where we had expected. Market conditions are improving, and this is reflected in a gain on revaluation of investment properties (not in our forecast) and contributing to NAV growth. With management sounding increasingly confident about the outlook, in addition to the land sale gain, the increase in distributions was also not in our forecast. Net operating income grew 10%. The investment portfolio NOI was 5% lower, reflecting the continuing reversion to market rent levels that are below the currently contracted average, and almost completely denominated in roubles, partly offset by a c $10m part-year contribution from properties acquired. The logistics subsidiary, RosLogistics, continues to show strong growth, while the UK development subsidiary, Raven Mount, produced a pleasant surprise, taking advantage of planning consents to realise a substantial c $20m gain on the sale of most of its non-core, legacy land bank. Expenses were well controlled. Including bonuses and long-term incentives, administrative and other expenses were slightly lower year-on-year on both a reported and underlying basis. Bonuses and incentives were lower (c $4.5m versus c $9.1m), offset by a $2m impairment of the remaining Raven Mount goodwill, post the land sale, and underlying inflation, especially on rouble-denominated costs. The adjustment from reported to underlying expenses includes the goodwill impairment, depreciation and the share-based element of bonuses and incentives. Net interest expense benefited from lower borrowing costs and rouble deposits. Underlying net financial expense declined as a result of increased interest income from higher cash balances, mostly rouble-denominated, as well as a lower cost of borrowing. The latter mainly reflects a higher share of lower-rate convertible preference share debt in the mix. The difference between the underlying and reported net interest expense was amortisation of the redemption premium on preference shares, amortisation of loan arrangement fees and fair value movements on derivative instruments. Underlying profit after tax increased 21% and underlying EPS by 19%. On a fully diluted basis, and assuming full conversion of the convertible preference shares, the increase in earnings was 34%, but the EPS increased by a smaller 9% as a result of the higher number of potential shares resulting from the second issue of convertible preference shares in July 2017. NAV benefited from a $38.2m net profit on revaluation of the investment portfolio, which reflects a c 50bp tightening of the external (JLL) yield assumption and no material change in the portfolio expected rental value (ERV), both mirroring market developments. Fully diluted NAV per share increased to 80c, or c 60p at the current US$/£ exchange rate, from 71c. The positive $9.2m FX result reported in the P&L account reflects the positive impact of increased rouble cash balances as the currency strengthened. Other comprehensive income (and net assets) saw a $24.7m loss that primarily results from the US dollar translation of the preference share liabilities, denominated in sterling. The year-end cash balance increased to $266.7m compared with $198.6m a year earlier. A second issue of convertible preference shares raised £102m ($126m) in July while investing more than $170m (rising to a maximum $209m including deferred consideration) in the acquisition of four new properties during the year. The fall in Russian interest rates may offer the opportunity to better balance rents with rouble debt. Long-term US dollar rents historically created a hedge to US dollar borrowings, but the move to rouble rents has opened an increased FX mismatch. Raven continued to restructure its existing US dollar secured bank debt in 2017, pushing out the average maturity and reducing annual amortisation, but the fall in Russian interest is opening an opportunity to shift borrowings towards roubles, reduce the FX risk and manage interest costs. In anticipation, management is in dialogue with its banking partners about a possible transition. A final distribution of 3.0p per ordinary share takes the total for the year to 4.0p (2016: 2.5p). The increase reflects the positive result for the year and management’s increasing confidence about the future prospects. As usual, the distribution is to be made by way of a tender offer buyback of 1 in 17 shares at 52p. Economic conditions in Russia improved during the year. GDP grew 1.5% (2016: -0.2%), the US$/rouble rate relatively stable in a range of 56-60, oil prices increased, inflation fell (2.2% in January 2018), and interest rates have followed, falling from 10% at the beginning of 2017 to 7.5% following the latest 25bp cut in February 2018. With the improving economy, occupier demand for logistics warehouse space increased while development completions slowed. Demand-supply conditions in the warehouse market have also improved. Grade A development completions in the Moscow region declined to c 530,000 sqm in 2017, roughly half the prior year level. With take-up running at c 1.2m sqm, JLL estimates end-2017 market occupancy at 8.3% compared with 9.5% at end-2016. JLL also says that prime rents for new deals have stabilised at c RUB4,000 per sqm. Four properties were acquired during the year, taking the total gross lettable (GLA) area to 1.822m sq ft. In April 2017 Raven acquired three separate properties in St Petersburg, adding 87,000 sqm of Grade A warehousing and 33,000 sqm of offices. The consideration was RUB4.9bn (c $86m) at an initial 16% yield. The properties were 98% let to 68 tenants. In November 2017 Raven completed the acquisition of Logopark Sever, a 195,000 sqm Grade A warehouse complex to the north of Moscow. The initial consideration was RUB5.1bn (c $88.5m), with deferred consideration that takes this up to a maximum RUB7.1bn (c $122.7m) depending on leasing progress from the 73% occupancy at acquisition. The maximum consideration represents a yield of 11.4% and a reversionary yield of 12.5%. Further acquisitions are expected. Warehouse occupancy remained stable on a like-for-like basis. Including a small benefit from acquisitions it was 81% at end-2017 compared with 80% in December 2016. The small headline improvement came in H2, with mid-year occupancy at 79%, which suggests an improved like-for-like performance during H2. The office portfolio (less than 3% of total GLA), is practically fully occupied. Vacancy in Raven’s portfolio is higher than for the general market, especially in Moscow (72% of GLA, with 78% occupancy) as leases have expired and new lettings have failed to keep pace. 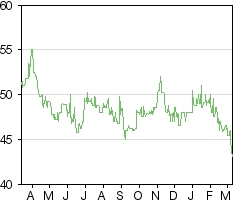 Some speculative developers are continuing to let space at levels that Raven feels are below the real market and likely to destroy value for shareholders if entered into at this time, as the market stabilises. The market in St. Petersburg is somewhat tighter. Active asset management of the portfolio continues and can be seen by significant leasing activity. 198,100 sqm of existing leases were renegotiated and extended during the year, while 179,600 sqm of space was vacated at maturity or terminated early, offset by 187,100 sqm of new leases agreed. Of the 1,815k sqm of space (1,766k sqm of warehouse space and 49k sqm of office space), 342,900 sqm was vacant at year end. Exhibit 4 provides the updated maturity profile. In addition to the 170,000 sqm of lease maturities in the current year, there are 78,300 sqm of lease breaks (and 79,000 sqm in 2019). Good progress has been made in the year to date, with 53,000 sqm of renewals and 21,000 sqm of new lettings completed. In addition, letters of intent on 38,000 sqm of vacant space and 8,400 sqm of extensions have been signed. The market transition to rouble-denominated rents continues, with the share of US dollar-denominated rents reducing to 31% of the total, measured by warehouse GLA at end-2017 (2016: 50%), with an average term to maturity of three years. Much of this is leases on high-specification, temperature controlled space, with an average rent level of $143 per sqm. 45% (2016: 21%) represented rouble-denominated rents (with an average annual indexation of 6.8%) with an average rent of RUB5,200 per sqm (c $87) and a weighted average lease length of 3.6 years. A further 2% of leases are subject to rent increase caps, with euro-denominated rents (3%) and vacant space account for the balance (20%) accounting for the balance of GLA. With both the warehouse and office markets in which Raven operates now being effectively rouble only, the remaining long-term US dollar contracts should therefore be expected to unwind over the next three years. New lease terms, in roubles, are shorter and generally contain lease break clauses (c three years on average or five years with a three-year break option, compared with an average c five years previously for dollar leases). They do have the advantage of having annual indexation linked to Russian CPI. At current market rent levels, this unwinding of long-term dollar contracts will be a negative drag on revenue, for which acquisitions are providing an off-set. Average rents for new lettings in roubles during 2017 were RUB3,870 per sqm (c $65) while lease renewals benefit from tenants wanting to avoid the frictional cost of moving and averaged RUB5,250 (c $87.5) for rouble leases. We would expect a continuation of the market recovery to improve occupancy and support market rents, while further acquisitions are also likely. Raven made two accretive acquisitions (four properties) in 2017, expects to complete more in 2018 and has the balance sheet to finance them. Together, these have the potential to offset the further drag on revenues from the unwinding of long-term dollar lease contracts. We estimate that dollar rents contributed c 50% of total NOI in 2017 and with a three-year maturity, the unwind into rouble contracts at current rents would see half of this erode. Our forecasts allow for this and include an occupancy improvement (by 4% in each of 2018 and 2019), to reflect the improved market supply-demand balance, but no acquisitions, as we have no way to know when they may happen and on what terms. We can however illustrate the potential impact and we present a sensitivity analysis below. The 2017 underlying result was very much in line with our forecast, with the exception of the unexpected land sale gain at Raven Mount (Exhibit 5). For 2018, our forecast is reduced although the extent of the reduction is exaggerated by our reluctance to include the likely acquisitive activity. We have reduced our NOI expectation by 3% which primarily reflects a lower assumed rent level on new and extended leases. On average, these are now forecast at $70 per sqm versus $75 per sqm previously, reflecting current market levels. We nevertheless expect warehouse NOI to increase in 2018 with the full year impact of the 2017 acquisitions adding at least $14m. The other factor suppressing our revised 2018 forecast is higher net finance charges, resulting from the additional debt taken on in H217 as part of the company’s refinancing operations. The reality is that the debt has boosted cash levels, and the cash is likely to find a home in accretive acquisitions, the subject of the sensitivity analysis. For 2019, we expect much of the same, with the further increase in occupancy only partly off-setting the dollar lease unwind, in the absence of forecast acquisitions. Source: Raven Russia, Edison Investment Research. Note: Compared with IFRS, underlying earnings exclude valuation movements, depreciation, amortisation of debt issuance costs, amortisation of preference share redemption premium, share-based payments and exceptional items. Raven is continuing to seek high quality income producing acquisitions and expects distressed sellers or mature funds exiting the market to provide further opportunities over the coming months, despite improving market conditions and the falling cost of local funding. As noted above, the cash position was $266.7m at end 2017, although we would not expect management to commit all of the available cash resources to investment and assume that it will continue to prudently hold c $100m. Allowing for this, our revised analysis suggests that Raven has capacity to invest c $120m by the end of 2019, most likely in initially ungeared acquisitions, which are then geared to recycle equity into further projects. Assuming a 60% LTV again, this implies potential cash-generating asset additions of more than $300m (end-2017 investment portfolio: $1.6bn). This is a similar figure to our previous estimate, although we have moved to a 2019 basis (from 2018) and no longer assume re-gearing of the 2017 acquisitions following the debt raised in H217. By the end of 2019, any deferred consideration for the Sever acquisition will have been paid and has no impact on the calculation. The additional potential upside to our base case forecasts remains substantial as we show below. JLL estimates prime yields in the Moscow warehouse market at 11-12.5% (Moscow Warehouse Market Indicators, 2017), with St Petersburg c 100bp above this. In Exhibit 8, we illustrate the potential uplift to NOI and underlying earnings from investing the $301m estimated in Exhibit 7, at a range of property yields between 10-12%. We assume no significant acquisition costs or additional administrative costs and have applied a 7.8% interest cost to additional borrowings, similar to the existing average cost of secured US dollar debt – although management hopes to be able to lower this, especially with local borrowing costs falling. On this basis, full deployment of resources in the way described (at an 11% net initial yield) has the potential, on an annualised basis, to increase NOI by $33m and lift underlying earnings and net operating income after interest costs by an additional 35%, compared with our FY19 base case forecast. On a fully diluted basis (allowing for preference share conversion) the increases, from a higher base, is 23%. In both cases, the percentages are the same in per-share terms. We are now more confident that market conditions will continue to improve (as management anticipates, and partly reflected in our forecasts, which include improving occupancy but no uplift in market rents), acquired NOI has the potential to offset the un-wind of long-term dollar contracts and generate earnings growth. Alternatively, assuming no improvement in market rents or occupancy, acquired NOI would materially offset an eventual reversion to marke- level NOI of $35-40m pa, albeit spread over a number of years. An investment in Raven can be made via ordinary shares, preference shares, convertible preference shares and warrants. The ordinary shares receive variable distributions and would benefit fully from any growth in NAV or discount narrowing (c 27% currently). The 4p distribution declared for 2017 represents a yield of 9.3% on the ordinary shares. We believe this partly reflects the non-recurring gains at Raven Mount and we assume a lower distribution for 2018 and 2019 of 3p per share in each year, a yield of 7.0%. Our assumed distribution is relatively high compared with forecast earnings, more so in 2019, but as noted above, a full deployment of cash resources on cash-generative acquisitions has the potential to substantially lift earnings and cash flow above the forecast levels. The convertible preference shares (RUSC) rank ahead of other share classes in terms of dividend payments and receive a cumulative 6.5% preferential dividend on the subscription amount of 100p, a yield of 5.4% on the current price of 120.5p. The convertible preference shares can be converted into ordinary shares at any time up to July 2026, currently at a rate of 1.779 (equivalent to 67.7p per ordinary share at the current price). The (non-convertible) preference shares (RUSP) earn a cumulative 12% dividend on the fixed issue amount per share of 100p, ranking ahead of the ordinary shares. 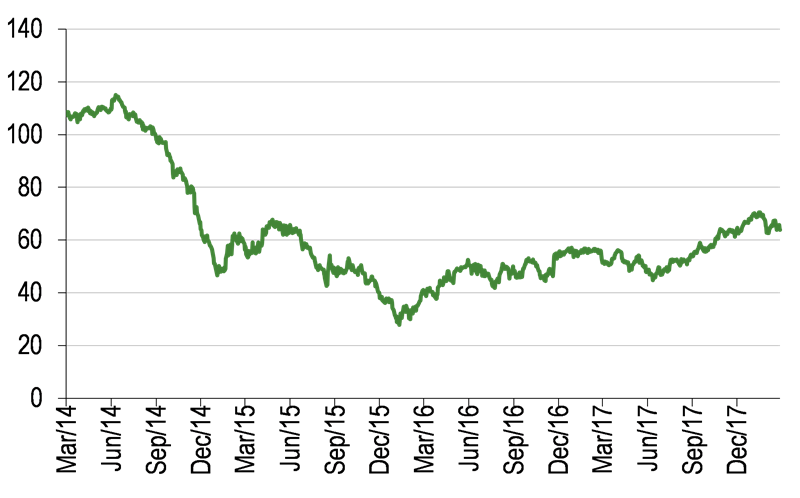 At a current price of 147.0p, the yield is 8.2%. The growth in NAV per share in 2017 was supported by investment portfolio valuation gains, reflecting the stabilisation of the market and falling interest rates. If the market continues to improve, as we expect, we believe there is room for valuation yields to decline further over the medium to long term, but would not anticipate a material near-term shift. The investment market in Russia is relatively thin compared with the size of the economy, making valuation movements less predictable. Diluted IFRS NAV per ordinary share at end-2017 was 80c and on an adjusted basis (adjusted for goodwill, deferred tax on valuation gains, fair value movements on derivative contracts and cumulative FX movements on preference shares) and fully diluted (including cumulative preference shares), at 78c. At an exchange rate of $1.3550/£, this represents 60p for a discount of c 27%. DISCLAIMER Copyright 2018 Edison Investment Research Limited. All rights reserved. This report has been commissioned by Raven Russia and prepared and issued by Edison for publication globally. All information used in the publication of this report has been compiled from publicly available sources that are believed to be reliable, however we do not guarantee the accuracy or completeness of this report. Opinions contained in this report represent those of the research department of Edison at the time of publication. The securities described in the Investment Research may not be eligible for sale in all jurisdictions or to certain categories of investors. This research is issued in Australia by Edison Investment Research Pty Ltd (Corporate Authorised Representative (1252501) of Myonlineadvisers Pty Ltd (AFSL: 427484)) and any access to it, is intended only for "wholesale clients" within the meaning of the Corporations Act 2001 of Australia. The Investment Research is distributed in the United States by Edison US to major US institutional investors only. Edison US is registered as an investment adviser with the Securities and Exchange Commission. Edison US relies upon the "publishers' exclusion" from the definition of investment adviser under Section 202(a)(11) of the Investment Advisers Act of 1940 and corresponding state securities laws. As such, Edison does not offer or provide personalised advice. We publish information about companies in which we believe our readers may be interested and this information reflects our sincere opinions. The information that we provide or that is derived from our website is not intended to be, and should not be construed in any manner whatsoever as, personalised advice. Also, our website and the information provided by us should not be construed by any subscriber or prospective subscriber as Edison’s solicitation to effect, or attempt to effect, any transaction in a security. The research in this document is intended for New Zealand resident professional financial advisers or brokers (for use in their roles as financial advisers or brokers) and habitual investors who are “wholesale clients” for the purpose of the Financial Advisers Act 2008 (FAA) (as described in sections 5(c) (1)(a), (b) and (c) of the FAA). This is not a solicitation or inducement to buy, sell, subscribe, or underwrite any securities mentioned or in the topic of this document. This document is provided for information purposes only and should not be construed as an offer or solicitation for investment in any securities mentioned or in the topic of this document. A marketing communication under FCA Rules, this document has not been prepared in accordance with the legal requirements designed to promote the independence of investment research and is not subject to any prohibition on dealing ahead of the dissemination of investment research. Edison has a restrictive policy relating to personal dealing. Edison Group does not conduct any investment business and, accordingly, does not itself hold any positions in the securities mentioned in this report. However, the respective directors, officers, employees and contractors of Edison may have a position in any or related securities mentioned in this report. Edison or its affiliates may perform services or solicit business from any of the companies mentioned in this report. The value of securities mentioned in this report can fall as well as rise and are subject to large and sudden swings. In addition it may be difficult or not possible to buy, sell or obtain accurate information about the value of securities mentioned in this report. Past performance is not necessarily a guide to future performance. Forward-looking information or statements in this report contain information that is based on assumptions, forecasts of future results, estimates of amounts not yet determinable, and therefore involve known and unknown risks, uncertainties and other factors which may cause the actual results, performance or achievements of their subject matter to be materially different from current expectations. For the purpose of the FAA, the content of this report is of a general nature, is intended as a source of general information only and is not intended to constitute a recommendation or opinion in relation to acquiring or disposing (including refraining from acquiring or disposing) of securities. The distribution of this document is not a “personalised service” and, to the extent that it contains any financial advice, is intended only as a “class service” provided by Edison within the meaning of the FAA (ie without taking into account the particular financial situation or goals of any person). As such, it should not be relied upon in making an investment decision. To the maximum extent permitted by law, Edison, its affiliates and contractors, and their respective directors, officers and employees will not be liable for any loss or damage arising as a result of reliance being placed on any of the information contained in this report and do not guarantee the returns on investments in the products discussed in this publication. FTSE International Limited (“FTSE”) © FTSE 2018. “FTSE®” is a trade mark of the London Stock Exchange Group companies and is used by FTSE International Limited under license. All rights in the FTSE indices and/or FTSE ratings vest in FTSE and/or its licensors. Neither FTSE nor its licensors accept any liability for any errors or omissions in the FTSE indices and/or FTSE ratings or underlying data. No further distribution of FTSE Data is permitted without FTSE’s express written consent.